One of the go-to insults for jealous fans of other teams is to make fun of Green Bay itself. Ryan Longwell made an infamous comment about Applebee’s restaurant being “as fancy as it got” in the home of the Packers. I remember Vikings fans telling me that Greg Jennings wanted to continue to live in the upper Midwest, he just wanted to move out of the sh*thole that is Titletown, USA. It has long been suspected that due to limited dining options and “night time activities” Green Bay, Wisconsin might not be the place that twenty-something athletes would ideally like to spend that portion of their lives. Sounds like a perfect place for Colt Lyerla. Let me begin by saying that I am biased on a number of levels. First of all I’ve spent the last 8 years of my life living in a Green Bay, WI clone of a city, right down to the green and gold colors. The Fargo-Moorhead metro area contains a population of around 240,000 and has a quaint downtown area, a popular minor league hockey team and is obsessed with a football program that has produced 11 National Championships. The Green Bay metro area contains a population of around 300,000 and has a quaint downtown area, a popular minor league hockey team and is obsessed with a football program that has produced 13 World Titles. I love Green Bay. Green Bay feels like home to me and I think it’s a wonderful, historic place and I could eat at Favre’s steakhouse and Titletown Brewer for the rest of my life if I had to. I’m also biased because Oregon is my favorite FBS college football team. With all of that admitted, I couldn’t think of a better situation for Colt Lyerla (or any troubled NFL player) to come into. Not only is Green Bay the NFL’s smallest and safest market, but there is a structure of leadership in place in Green Bay unmatched in the NFL. There are quality leaders and leaders with tenure at the three most important positions, coach, quarterback and General Manager. 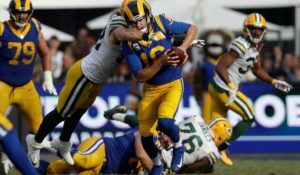 Aaron Rodgers, the on-field leader of the team and of the offense has been with the organization the least amount of time of the three and he is entering his 10th season. 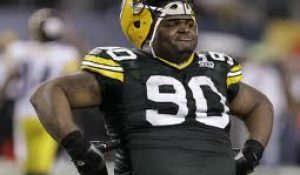 In Green Bay, not only will there be a zero tolerance policy on trouble for Lyerla, but he’ll be in the NFL city in which he can get into the least amount of trouble. He’ll be under the scrutiny of one of the NFL’s smallest media markets and he’ll be under the guidance of Ted Thompson, Mike McCarthy and Aaron Rodgers, three leaders of men that have been here for a long time and have an astonishing record of success to point to for credibility. Make no mistake about it, right now Colt Lyerla is the most talented tight end on the Packers roster, and I’m not sure it’s really all that close. Matt Miller, who you can follow on twitter @nfldraftscout said (and I have said as much on From the Benches) that if Lyerla was a model citizen he would have been the second TE taken behind Eric Ebron, either in the late first or early second round. His highlight tapes are unbelievable. His combine workout was generational. He had the highest vertical among tight ends by 4 inches (!). His 4.61 40 time was faster than Jermichael Finley’s. He did not have elite tape at Oregon but I think, and most would agree, that a lot of that had to do with his inability to stay on the field as a productive member of the Oregon Ducks. 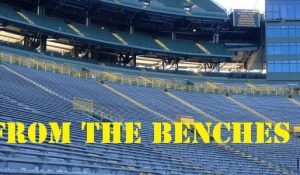 Lyerla is a rare raw talent that given time to learn in Green Bay could blossom into a Pro Bowl player (I put his odds of being a Pro Bowler in this week’s From the Benches episode at 20%). There is absolutely no place that I would rather Colt Lyerla gets his one shot at professional football than Green Bay, Wisconsin with this structure of leadership. 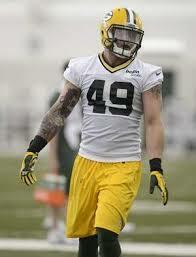 This entry was posted in Packers 2014 - 2015 Season and tagged Colt Lyerla, Off Season. Bookmark the permalink.